How do they make sparkling wine? Sparkling Wines are made by a number of different methods. Most people simply refer to them as Champagne, which is incorrect as Champagne is a wine which is geographically indicated to be produced only in Champagne in France. Champagne is made by what is known as the Traditional Method. The grapes, usually Chardonnay and Pinot Noir with small components of Pinot Meunier. The grapes are picked early in order that the base wine will have a low alcohol. 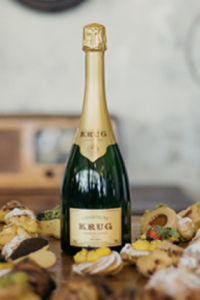 The base wine then has a yeast and sugar mix added to it, it is bottle in the traditional Champagne bottle and the closed with a crown cork. The second fermentation takes place in the bottle the tiniest bubbles being created during this process. After disgorgement, the wine is closed with a natural cork closure and the wire muzzle. Wines of the same type that are made in other geographical areas are, Crémant from the Loire, Espumante in Portugal, Cava in Spain, Franciacorta in Italy and South Africa where the wine is known as Methode Cap Classique. This method produces wines of high colour and wonderful aromas and flavours, which need considerable expenditure on equipment by the producer. For Charmat wines, the second fermentation takes place in a pressurised tank rather than in individual bottles. Filtered and bottled under pressure with no lees contact, the wine emphasises freshness, fine aromas and clean fruit. 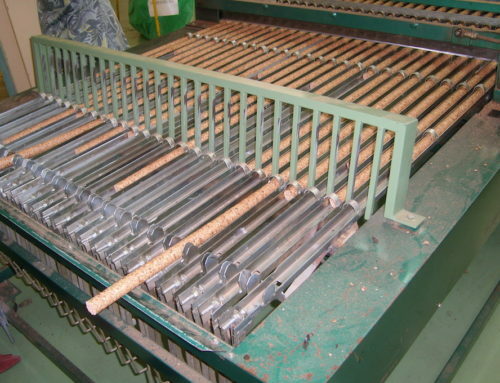 Prosecco is made by this method in the Veneto, north of Venice on Italy’s eastern coast. This is really a mix of the Classical Champagne Method. A second fermentation occurs in the bottles, which are then emptied into a pressure tank. Here the wine has the benefit of aging on the lees without the time, and indeed expense, spent on riddling and disgorgement. Auite often use to produce larger bottles like magnums. Possibly the oldest method of making sparkling wine. There are a couple of producers in South Africa, Vondeling is one of them. This is s single fermentation, the second half of which takes place in the bottle. You choose the perfect moment to bottle the fermenting wine which then finishes its fermentation under crown cork. The traditional disgorgement takes place. Some producers rebottle the wine, while others do not which leaves a gently cloudy wine, textured and with lovely earthy flavours. This method is used almost solely in the production of German Sekt. This method is a Russian invention a one step further than the Charmat Method. The liqueur de tirage, the yeast and wine is added and then the wine is pumped through a series of tanks, which may contain oak chips or shavings. These add the toasty yeast flavours as the lees accumulate on them adding not only to the flavour, but ‘part clarifying’ the wine during the process. Still wine is enhanced by bubbles in the same manner in which soda is made. The bubbles are usually large and dissipate quickly. In the lowest price ranges, but huge fun for students parties! Whatever your choice, sparkling wine is an uplifting experience, bringer of joy and happiness. Don’t keep it only as a wine for a special occasion – you’d be surprised how brilliant it is with a mid-week supper dish.